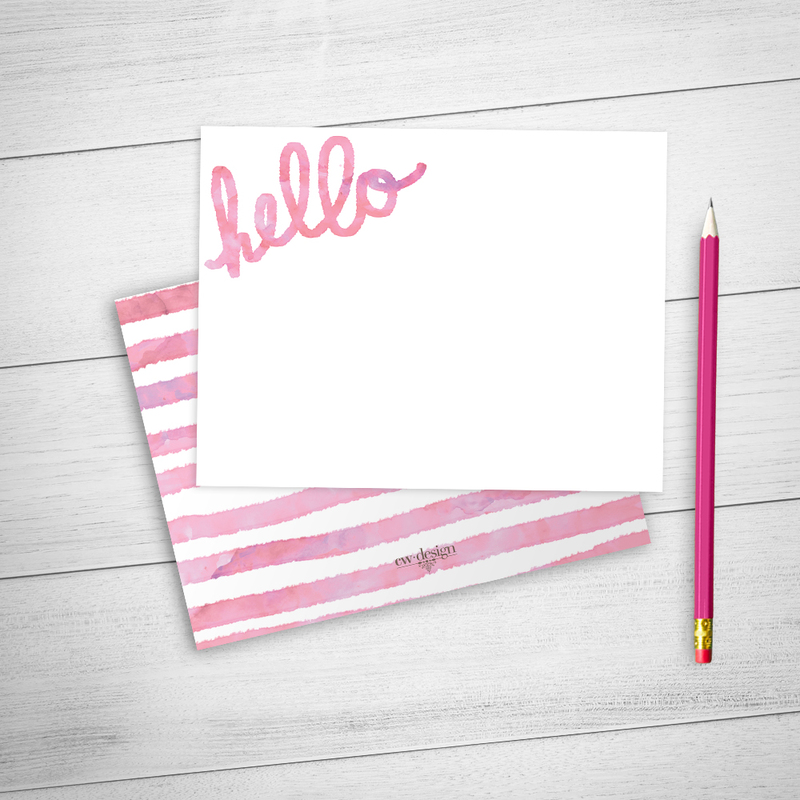 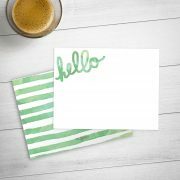 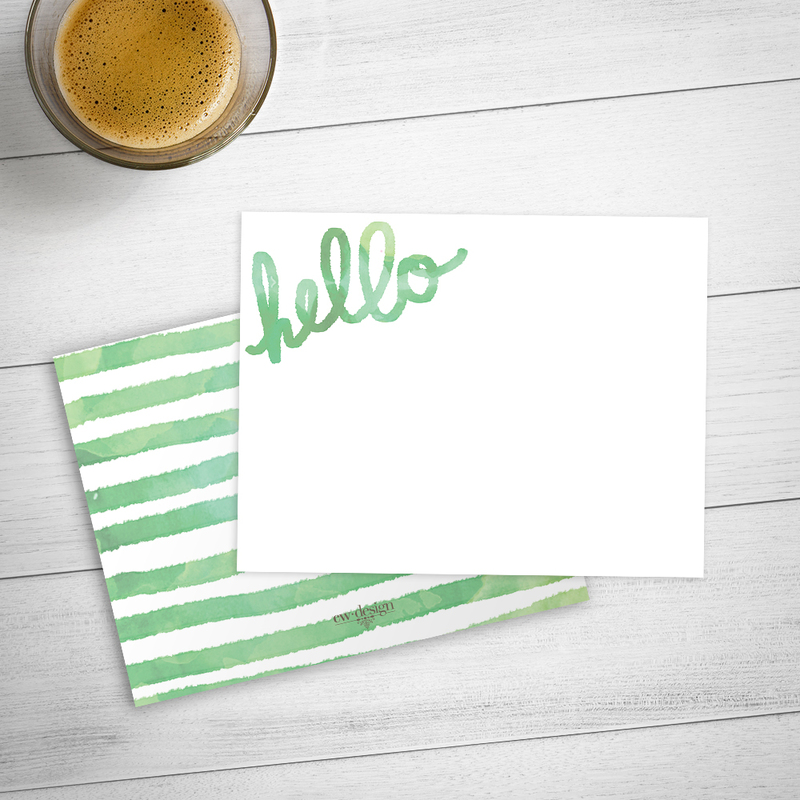 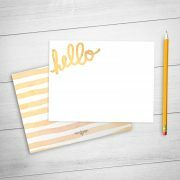 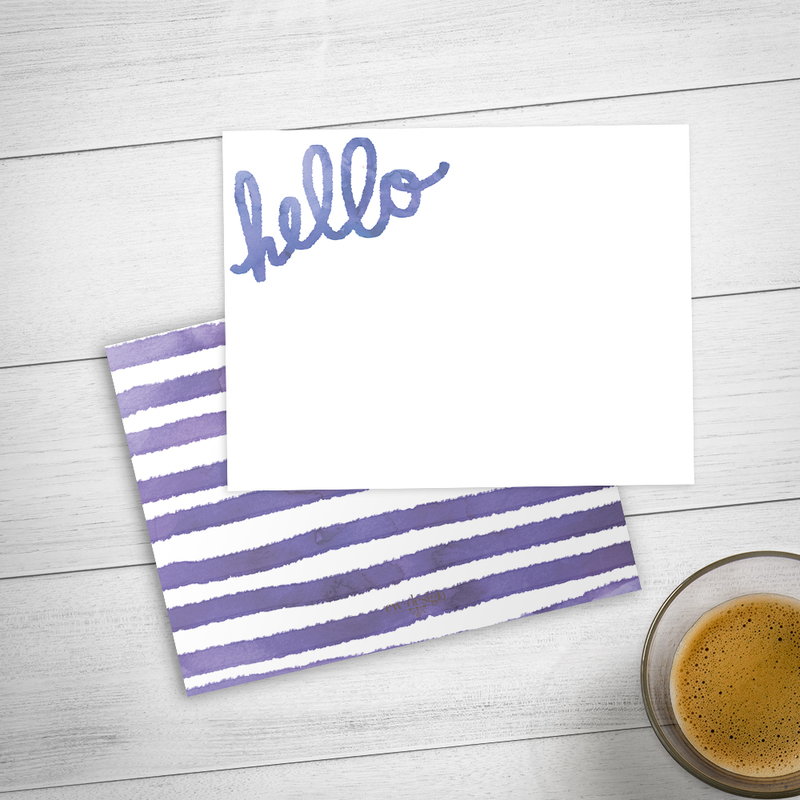 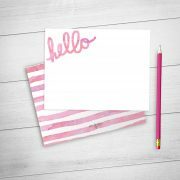 Send a fun and unique hello notecard and choose to personalize it with your name. 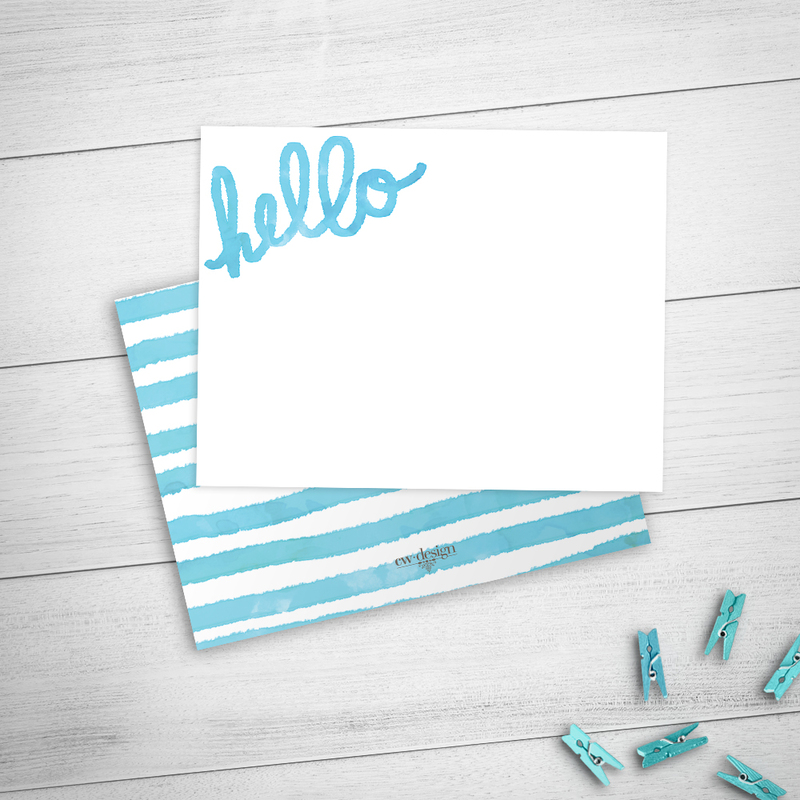 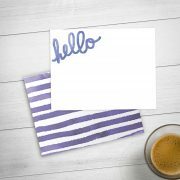 This stationery set features a blue watercolored hello and watercolor stripe pattern (on reverse of card) with the text of your choice printed on the bottom front of the card. 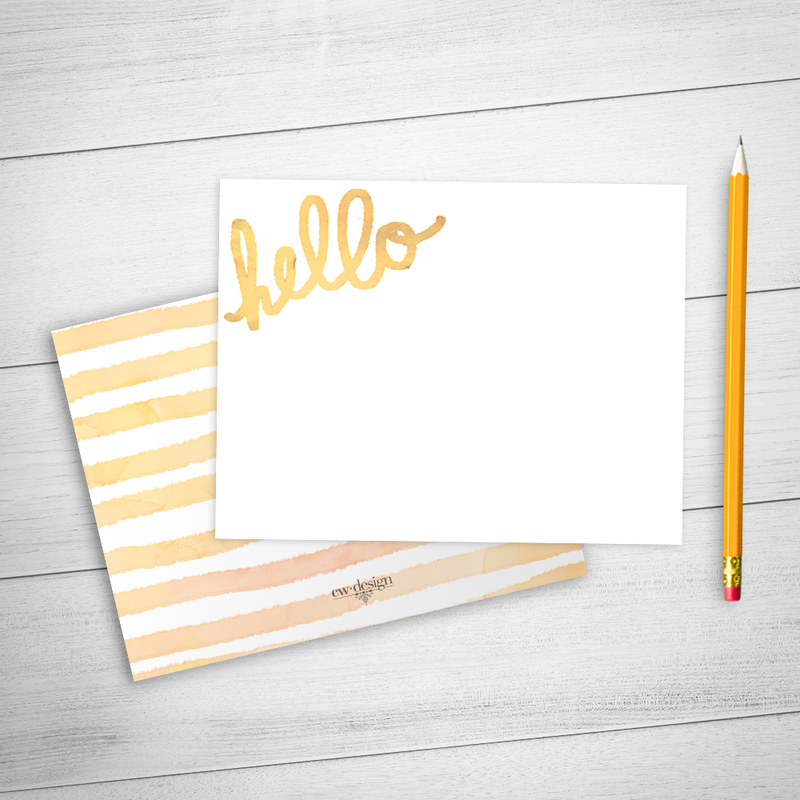 Includes classic white envelopes. All sets come neatly packaged in a kraft box with clear lid, and wrapped with a signature CW Design yarn band—all set for gifting, or keeping!